Children Birth-3: Early Intervention (EI) services are available to families for children ages birth through 36 months. These services are guided by the development of an Individual Family Services Plan (IFSP) that addresses needs related to case management, nutrition and support. As a child approaches their third birthday a plan for transition becomes part of the IFSP. This gives families an opportunity to prepare for the transition from EI services to public school services. Explore the Expanded Core Curriculum as a tool addressing unique needs of students who are deaf/hard of hearing to support their executive functioning skills not covered in general education standards. For learners with a suspected hearing loss, eligibility is determined by an MFE conducted by an interdisciplinary team. 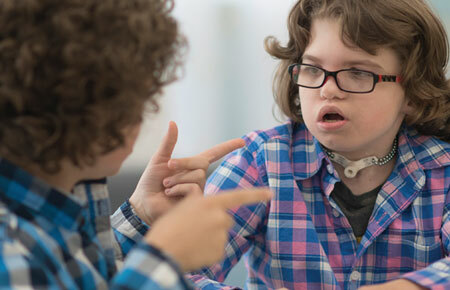 A variety of assessment tools may be used by Teacher of Deaf, Speech and Language Pathologist and Educational Audiologist, to gather information about the learner in functional, developmental, and academic areas. Ohio special education regulations require that assessments be technically sound and administered by qualified professionals with knowledge in the area of Deaf/Hard of hearing. Assessment and evaluation of progress among children who are have vision loss or blindness is a complex process. Challenges often go undetected by individuals unfamiliar with the hidden impact of a vision loss. The local educational agency (LEA) continues to be responsible for providing a team comprised of qualified professionals and the student's parent or guardian to collect multiple sources of information relevant to determining eligibility for specialized services and then developing an educational program that is not only individualized but leads to measurable increases in learning. For more information on special education and related services please visit the Ohio Department of Education’s website and the Office for Exceptional Children’s website. Discover the assessment resource that helps the evaluation process to best meet students’ educational needs.